im sure it must be false advertising on their "4 toppings FREE" pizza? a 6" margherita with 4 FREE toppings is £14.49? if its FREE then should it not be the same price as the one without the toppings? your essentially paying £4.49 for your 4 FREE toppings, which doesn't make it FREE? Terrible Service from Sheldon Birmingham. Said 35-45 Minutes Delivery now 90 Minutes and just delivered I rang up and they put the phone down on me and got though and they blamed this offer for hammering them and they didn't know they were going to do this offer and they only have two ovens, yeah mate not my problem. Pizza hut delivery only again it seems-or from a non restaurant place. the 5£ one I think its worth it for home delivery you need to order 2 pizzas but they are medium size. Meanwhile people around the world are getting blown the f up or …Meanwhile people around the world are getting blown the f up or dehydrating to death while you scoff into your 3 pan pizzas. It's asking me to enter a code for delivery?? Thats what I need today. Same deal on at Papa Johns right now. When does this deal expire? im sure it must be false advertising on their "4 toppings FREE" pizza?a 6" …im sure it must be false advertising on their "4 toppings FREE" pizza?a 6" margherita (no toppings) is £9.99a 6" margherita with 4 FREE toppings is £14.49?if its FREE then should it not be the same price as the one without the toppings? your essentially paying £4.49 for your 4 FREE toppings, which doesn't make it FREE? 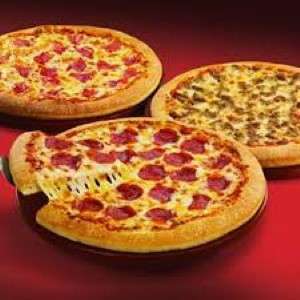 Can I buy 3 pizza for 15 and pay only 7.50? Anyone else's Pizza Hut cut back hugely on cheese and toppings in the last few years? I'm done with them, only ordered one because I was given a gift card. Couldn't believe how little cheese and pepperoni there was.. it used to be twice as much easily. It 100% depends on how decent the local franchise is with Pizza hut. I had a terrible one in the last city I lived in, since then we've moved and our local now is excellent every time. Great amount of toppings, always piping hot, polite driver and delivered within 40 mins too. You should state minimum order of £9.99 for delivery therefore you cannot order something for £7.50 with delivery but still a good deal. Anyone else's Pizza Hut cut back hugely on cheese and toppings in the …Anyone else's Pizza Hut cut back hugely on cheese and toppings in the last few years? I'm done with them, only ordered one because I was given a gift card. Couldn't believe how little cheese and pepperoni there was.. it used to be twice as much easily. 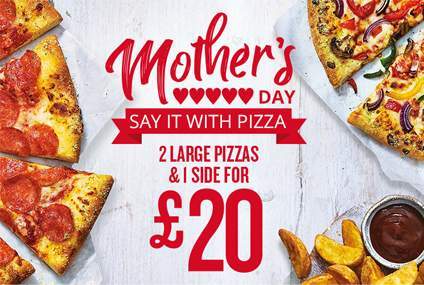 Ordered last night... Good deal thank you  shame on Pizza Hut for not doing a gluten free cheesy bites base though! No delivery to my area, will they let me pick up? True, back in the 90s (yes I'm old) they were much better. Quality of the pizzas has really gone downhill since then. Thought it was gluten I was intolerant to... turns out it's lactose. "THEY DO CHEESE-LESS PIZZAS! WHY NOT HAVE A CHEESE-LESS PIZZA?" Because **** you, that's why. True, back in the 90s (yes I'm old) they were much better. Quality of the …True, back in the 90s (yes I'm old) they were much better. Quality of the pizzas has really gone downhill since then. Aww the good’ol days when you’d get generous amounts of toppings and loads of cheese that it’s actually stringy when you tear a slice, mmm.. I think you forgot to end with ‘YMMV’. As thats not the experience I’ve had with my locals. Cheap cuts of meat and can’t even be bothered to use mozzarella in their stuff crust.